Please remember these Santa Anna folks that are serving our country in combat, training, or support: Brandon Beloat, James Culpepper, Eddie Dawson, Chaplin Delarosa, Kristle Deleon, Glen Donham, Reuben Frausto, Bobby Hale, Patrick Kerr, Truman Matthews, Michael Ruth, Marty Siller, Allen Tucker, Scott Watson, Shane Watson, and Seth Wickson. I almost forgot to tell you about the rain. I had an inch to an inch and a half on Sunday and Monday and then another half or so on Tuesday and Wednesday for a total of an inch and a half to two inches this last week of April. 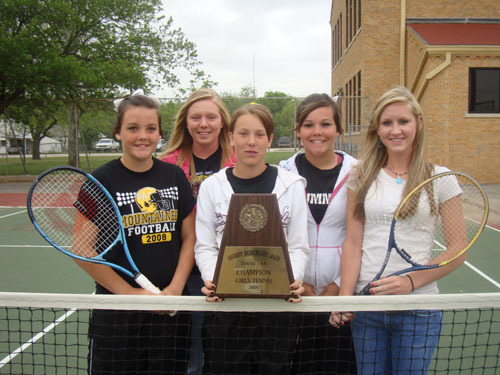 Four members of the Santa Anna Mountaineer tennis team participated in the UIL Region 2 Tennis Meet on Wednesday and Thursday, April 22nd and 23rd in Abilene. The mixed doubles team of Sarah Herrod and Lance Vasquez upset the tournament number four seed (6-2, 2-6, 6-3) in the first round of competition but lost a very competitive three set match (6-4, 3-6, 6-2) in the next round to the eventual fourth place team from Poolville. The girls doubles team of Stevie Vanvoast and Peyton Morris also went into the tournament unseeded but upset district champion Knox City (7-5, 3-6, 6-2) in the first round. The two then defeated number four seed Poolville (6-4, 6-1) to advance to the semi-final round. The duo came up short in the next round, but won five games off eventual regional champion Miles, who had not previously dropped a single game in the tournament. The freshman/junior combination ultimately finished fourth at the regional tournament. 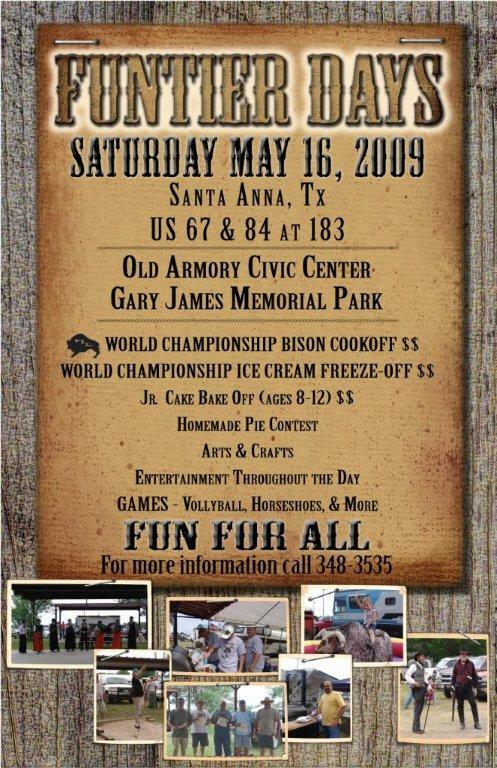 The 2009 edition of Funtier Day and World Championship Bison Cookoff is just around the corner, and plans are fully underway for Santa Anna’s premier yearly event. Entries have begun rolling in from cookers across Texas seeking to claim a piece of the $4000 prize money. Booth reservations are also coming in at a rapid clip for the arts and crafts show and sale. Interested vendors can reserve spaces inside the civic center or outside in the City Park, where events from volleyball competition to the favorite Santa Anna Fire Department water polo will also take place. Entertainment will be going all day Saturday, May 16th. The Texas Tornadoes, Mariachi band, and Ballet Folklorico from San Angelo are already on tap. If you are a friend of yours likes to ‘pick-and-grin’, why not contact 325.348.3535 and get on the playlist. Coordinators of the ever-popular annual event are looking for help from the community for someone to oversee the Horseshoe Pitch and the volleyball tourney. 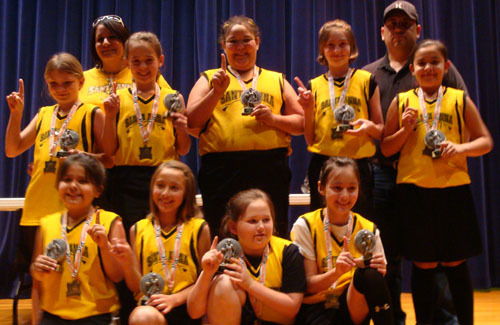 There is also some discussion of the possibility of a softball tournament for the weekend. If you seek a booth entry, please call (325) 348-3535. To enter the cookoff call (325) 348-3826. If you would like to help with the event, planning, coordinating, or just picking up trash after the event, call either of these numbers. Come help Santa Anna strut its stuff! Travelers’ Treasures Ironworks and Nursery in Santa Anna has donated twenty-five Crepe Myrtle trees to the city park in memory of the recent loss of other Santa Anna “treasures”. Coleman County Telephone Coop will provide the equipment and operator to dig the holes for the trees. Santa Anna Park and Armory Committee is pleased to receive the gift of the six-foot tall trees to add spring color to our local park. Those memorialized include: Lois E. Mendoza, Dwight Zirkle, Virgil Lancaster, Temp Fiveash, Mike Hosch, Rex Turney, Jake and Sammie McCreary, Billy Joe Harvey, Sam Jacobs, Charlotte Moseley, Corine Eubank, Leland Thompson, Billy Bible, Lee Brashear, Jurita Benge, Will Free, Amelia and Alejandro DeLeon, Loyd Taylor, Dink and Marie Wristen, Billie Guthrie, Tommy Davis, Margaret and Harry Crews, Dwight and DeeDee Hudson, Ken Bowker, and Franklin Lewis. Planting a tree in a City park or other City-owned land is a special way to honor a loved one and provides a gift to the whole community. Memorial trees are an age old tradition throughout the world, symbolizing life, growth and hope for the future. Trees have always been recognized as Nature's best gift to humankind. The Park and Armory Committee extends it sincere appreciation to Travelers’ Treasures Ironworks and Nursery and the Telephone Coop for this wonderful gift. Currently seeking caring & dependable people to work in the homes of the elderly and disabled in your area. 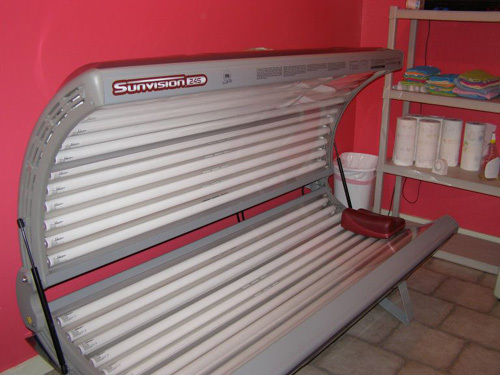 We offer flexible schedules. Must be 18 years with no criminal background. No experience or Certification needed. A new optional farm program, Average Crop Revenue Election, (or ACRE) may present producers with more questions than answers. That is why AgriLife Extension is partnering with the U.S. Department of Agriculture’s Farm Service Agency to hold a regional meeting to explain the new program added by the 2008 Farm Bill. This meeting will be held on May 7 at 9:00 A.M. at the Taylor County Extension Office which is located on the ground of the Taylor County Expo Center. Producers from Fisher, Jones, Shackelford, Nolan, Taylor, Callahan, Coleman and Runnels counties are encouraged to attend. The Farm Service Agency will provide information and details on new Pay Limits, Adjusted Gross Income thresholds, and the SURE program which the new permanent disaster program. Extension will then visit with producers about ACRE, the revenue-based safety net alternative to counter-cyclical payments beginning with the 2009 crop year. Careful consideration needs to be given before making a decision. A decision to elect ACRE may be made in any of the crop years 2009-2012, but once made is irrevocable for the remainder of the farm bill. Each farm number will need to make this election. That is why AgriLife Extension and the Farm Service Agency are holding the meeting. CRE payments will be made only when two conditions are met. The first condition is met when the Actual State Revenue (price x yield) falls below the State ACRE Guarantee. The second is met when the Actual Farm Revenue falls below the Farm ACRE Guarantee. The Texas A&M Agricultural and Food Policy Center has developed an online software decision-aid program that will allow producers to enter all the necessary data to compare the possible benefits of ACRE with the possible costs of signing into the program. At the meeting, AgriLife Extension personnel will discuss the ACRE program, demonstrating the online decision-aid software tool and the data necessary to run the program. The online program will enable a producer to enter his own data by the Farm Service Agency farm number, along with planting and price expectations. With the data entered, the program will calculate the expected benefits of ACRE compared with what the producer has to give up to get those benefits. Each producer should leave the meeting knowing how to access the program online and understand what data is needed and how to interpret the results. There are many factors that determine whether the ACRE program will be beneficial to area producers and using the online software will help in the understanding of this complicated decision. For more information contact your local County Extension Office or Farm Service Agency. 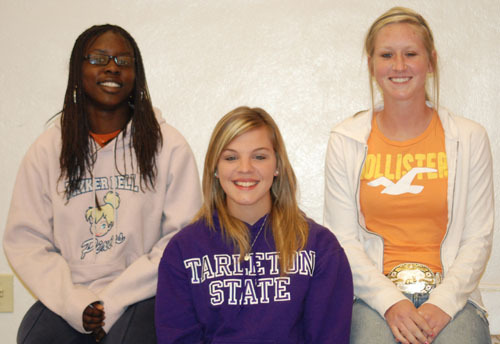 Several Santa Anna track students will be advancing to the Regional Track meet on May 1 & 2 at Abilene Christian University. Manny Dancy 4th Long Jump 19'4"
This past Saturday, April 18th, the High School Choir from Bay Area Christian School painted the outside of the New Saint Willow Baptist Church in Santa Anna. Bay Area Christian School is located in League City just South of Houston between Pasadena and Texas City. The choir had recently competed at Hardin Simmons University and the School's Administrator is Freddie Cullins who grew up in Santa Anna and graduated from Santa Anna High School in 1964. Cullins was joined by his wife Ellen who is the Choir Director, 19 students, and two other sponsors from the school. 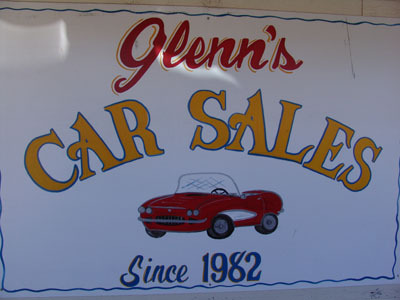 Cullins contacted Santa Anna's First Baptist Church pastor Bruce Hess and wanted to know of a good mission project in the area for the choir. 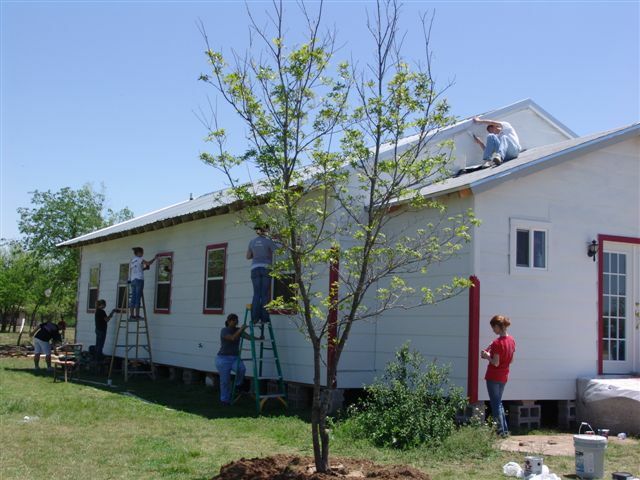 Brother Bruce suggested the Saint Willow Church and the work was on. 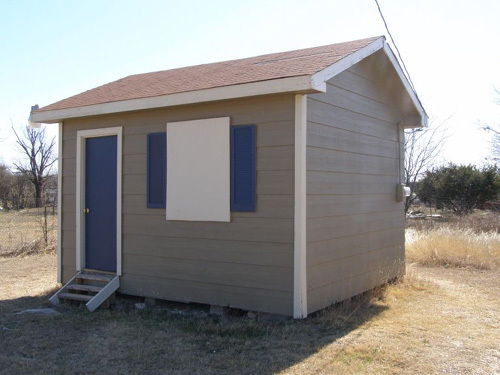 The New Saint Willow Baptist Church located on Hwy 283 South in Santa Anna was started as a place for worship when the old Saint Willow church was getting crowded and in need of repair. The Church is pastored by Reverend Vernon G. Jones. Reverend Jones and his wife Martha have been traveling several times a week from Brady over the last year or so to work on the new church building. The new building construction has been lead by carpenter Danny Hernandez who has donated much of his time to the project. 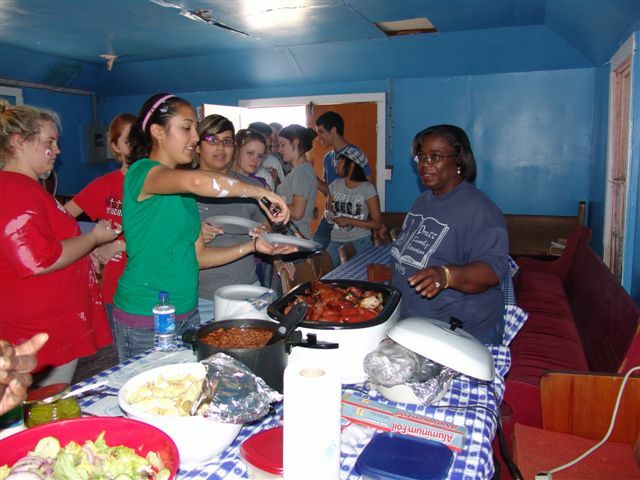 The choir stopped for a barbeque lunch prepared by several members of the church in the original church building with the new found use for the building as a possible kitchen and dining area for the church. The choir also performed church members in the new church after lunch. 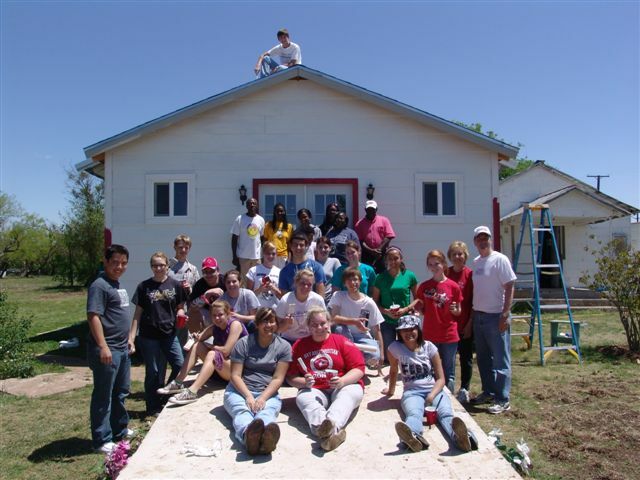 The choir finished painting the Church in the afternoon and spent Saturday night at Lake Brownwood's Heart of Texas Baptist Encampment and Conference Center. On Sunday morning Cullins was guest preacher at First Baptist Church and the Choir put on a puppet show and sang for some of the elementary Sunday school classes. They also sang for the congregation during the morning worship service. 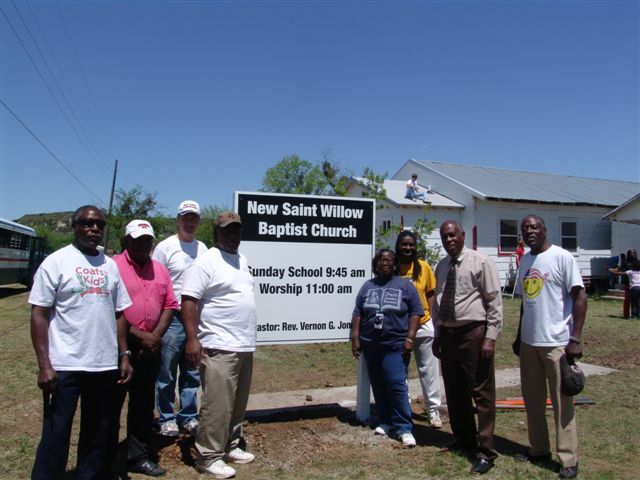 New Saint Willow Baptist Church sign erected by the Bay Area Christian School Choir members. 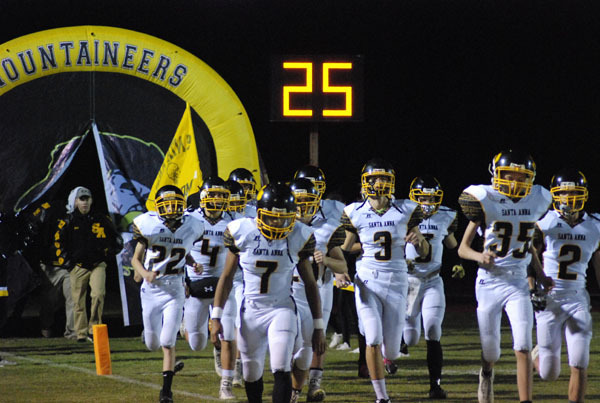 The following students from Santa Anna High School were named to the Academic All-State Team by the Texas Six-man Coaches Association. Kendra Coleman has been selected to the Texas Association of Basketball Coaches All-Region Team and to the Texas Six-Man Coaches Association All-State Team. 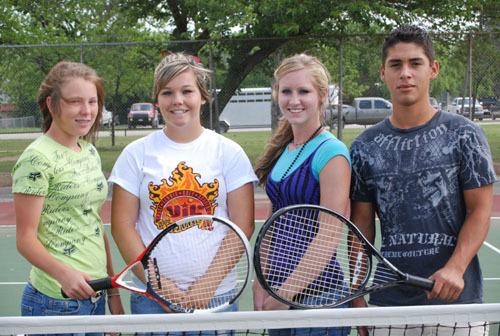 The Santa Anna High School tennis team competed at the District 14A Tennis Meet held in Mason on April 13th and 14th. The Lady Mountaineer tennis team took home the team championship trophy by taking the 2nd and 3rd spots in doubles and a second place in mixed doubles. In the junior varsity division, Caleb Absher took second place honors, and the girls doubles team of Ashley Gibson and Aspyn King placed first. In the varsity division, the freshman team of Makaylah Morris and Kaitlyn Krause took home third place medals in girls doubles, while the team of Peyton Morris and Stevie Vanvoast took second place honors. In mixed doubles, the team of Sarah Herrod and Lance Vasquez finished the tournament in second place after dropping a very close split set decision to the Paint Rock team. The doubles team of Morris and Vanvoast and the mixed doubles team of Herrod and Vasquez will advance to the Regional Tennis Meet to be held on April 22nd and 23rd in Abilene. 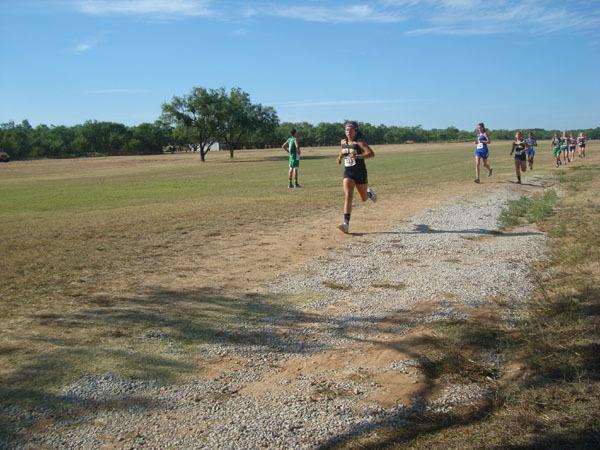 Santa Anna men and women track teams participated in the District track meet on May 4th. 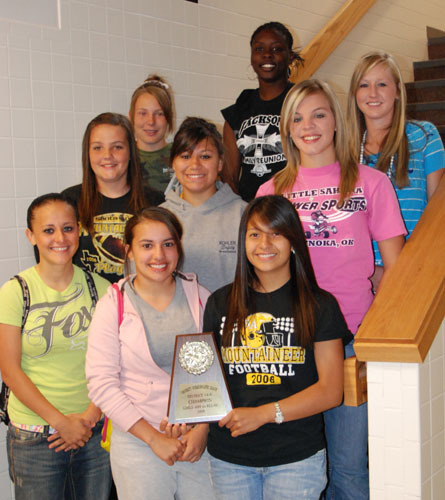 They had several individuals and relay teams that will advance to the Area track meet on April 16, 2009 at McMurry Stadium. First through fourth places listed below will advance to area. Coach, "I was really proud of all these athletes. The boys and girls 4x200 m relay and 4x400 m relay had no real practice or conditioning at all. I had asked them three days before the meet to just run and see if they could get points for our school and they agreed despite the difficulty of these races. All athletes represented our school well on and off the track. The athletes that have been there throughout the whole season have improved on all of their events." Santa Anna High School hosted the District 14-A UIL Academic Meet March 28 at Santa Anna High School. Congratulations go out to all Santa Anna High School students who participated and qualified at the District Meet. The regional qualifiers will compete again April 25th at the Region II-A UIL Academic Meet at Abilene Christian University. Holy week services in Santa Anna will commence with joint services by the First Methodist and Presbyterian Churches on Maundy Thursday, April 9. Rev. Kathy Munroe, pastor of Santa Anna Presbyterian Church will conduct the 7:00 pm services at the Presbyterian Church on Thursday. Then on Friday at 7:00 pm Rev. Paul Steven, pastor at First Methodist, will conduct Good Friday Services at the First Methodist Church. Easter Morning Sunrise Service, sponsored by the Santa Anna Ministerial Alliance, will be conducted at the lighted cross on the east mountain at 7:00 am, followed by a free breakfast for the worshipers at the Old Armory Community Center. In case of inclement weather, the Sunrise Services will be conducted inside the Community Center with breakfast to follow. 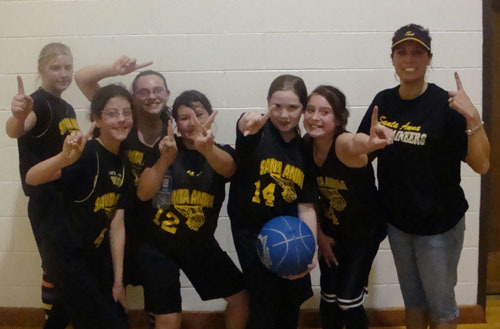 Santa Anna had 3 basketball teams that participated in CYA Basketball this season: 3rd and 4th grade girls, 5th and 6th grade girls, and 5th and 6th grade boys. 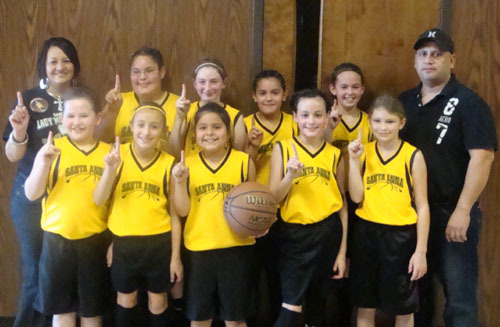 All three teams did very well and finished 1st place in the final tournament. 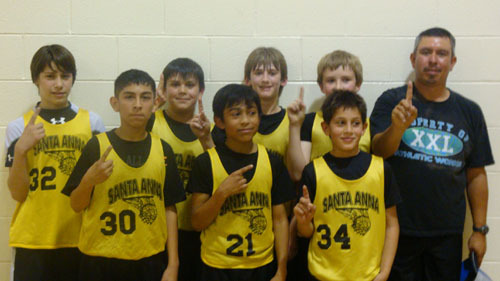 Santa Anna Community Services would like to thank the Coleman Youth Association for allowing us to join them in playing this season and we look forward to next season! Triple Jump--4th JORDON WHALEY 42'4"
Wow! What a great turnout we had for the Santa Anna Cemetery workday. Thank God for the beautiful Saturday and thanks to all who spent their Saturday at the cemetery. The wind was blowing just enough and the temperature was about right to keep us comfortable most of the day. I think there were around fourty or so that came out and I think all had a lot of fun and fellowship while working. And hard work it was. I got to work with several in the morning including Roddie Dean, Montie Guthrie III, and Manuel Salazar Sr.
Roddie Dean is a chain saw master and can make an old cedar look young again with a fresh cut. We had a great lunch of sandwhichs, chips, iced tea, and cake at the First Baptist Church CLC. Special thanks to Brother Bruce for letting us use the CLC and the First Baptist ladies that fixed all the goodies. It was nice to get out of the wind and sit down for a bit. In the afternoon I got to help Dickie Horner reset a stone, more about that later. Then I got to help my wife Cindy and Mr. Bell from Henderson Funeral Home. We were sweeping and shoveling up all the dirt along the curb on the boulevard and Mr. Bell was hauling it to the back with Donnie Henderson's Kubota tractor. I wanted to tell my friend Rob Cheaney that I got promoted to a broom but Cindy took it away and said I wasn't doing it good enough! I got demoted to shoveling... I had hoped to get some pictures but it is hard to take pictues with a shovel in your hand! That worked great until the tractor had a flat and we were rescued by Harold Harlander and his backhoe. A special thanks to Harold for all he has done out at the cemetery. Those that stayed until three thirty or so were treated by a fly over by Randy Long and friends as they came back from an air show. The three vintage World War II aircraft in formation started laying smoke as they flew over the cemetery right over the boulevard we were working on. Randy's wife Deborah was there and worked most of the day with my Jessica and Bianca Dean. I appreciate those three girls for all they did. The Cemetery Board and Restoration Committee are thankful for those that helped in any way and are planning on working again on the makeup day on April 18th. Coleman County Telephone Cooperative, Inc. would like to advise consumers in this area of a telephone scam that has been going on for at least two weeks. 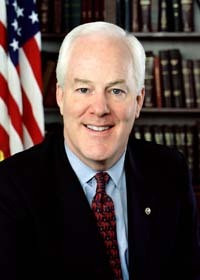 Customers have reported being contacted by a person indicating he was a representative of Publishing (not Publishers) Clearing House, and that they had won a large sum of money. In order to collect their prize money, customers are being asked to send an insurance fee through a bank account withdrawal or Western Union; and are also asked to provide personal information such as name, address, age, etc. A call-back number is given to verify the authenticity of the call; but when called, you reach the same person who originally placed the call. When customers refused to give any personal information, the caller became rude and threatening. 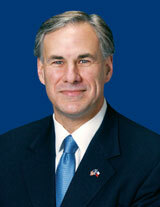 THIS IS A SCAM that has been reported to the Office of the Attorney General. If you receive such a call, please do not give out any personal information and report it immediately to you local telephone company. If you have any questions about this alert, you may contact the office of Coleman County Telephone Cooperative, Inc. at 325-348-3124. Mrs.Stewarts’ Pre-K class was learning about winter. She started to tell the class about Eskimos and Igloos. She decided to build one! It took a lot of milk jugs over 135! All the students brought the milk jugs from home. Friends and co- workers also brought milk jugs. 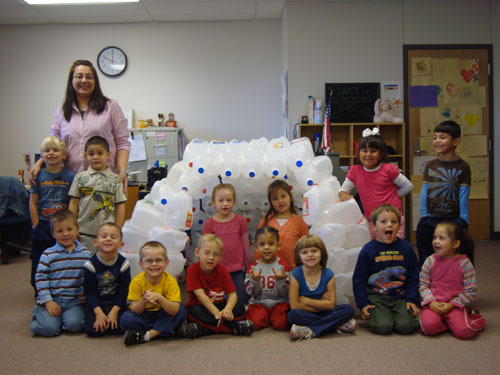 They started in January and in February the class was full of jugs. In March they finally got enough to finish the igloo just in time before winter was over. The students love it. The igloo is used as a reading center. Now that it is April, they are about to take it down and talk about recycling. A parent had a great idea of using milk jugs for Easter baskets for their upcoming Easter Egg Hunt and that is exactly what they plan to do. The Santa Anna Horse Judging Team had a successful run last week as they participated in two contests. 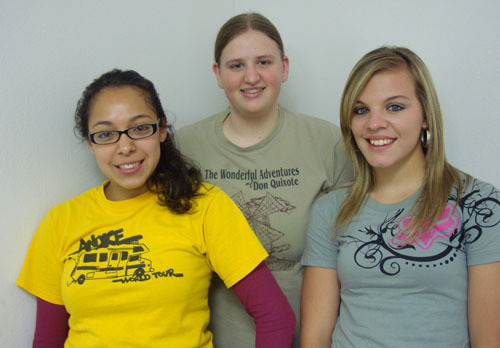 They traveled to Weatherford College Wednesday, the 25th, where they placed 10th out of 51 teams. 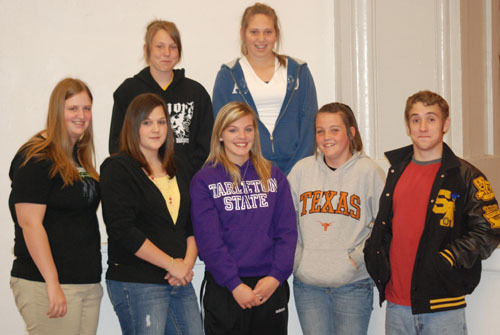 The next morning they went to theTarleton State University Invitational Judging Contest. The team placed 4th out of 200 teams. Senior member Fausto Maldonado said they are looking forward to the Area IV judging contest on April 8th and a chance to advance to state at Texas Tech. 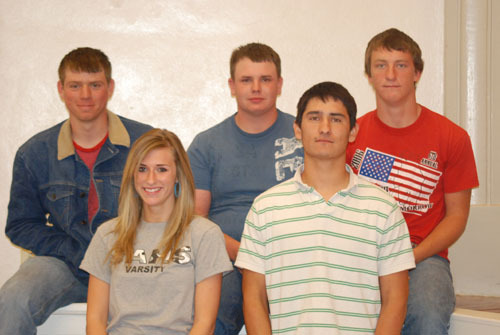 The other team members are Kody Krause, Laken Herrod, Wes Tucker, and Danny Trowbridge. Sandwiches, Chips, dessert and drinks will be provided. We ask you bring any of the following yard tools if you have them, if not come anyway. Shovels, Rakes, Weed Eaters, Loppers, Machetes Chain Saws, Hand Saws and any other lawn equipment you might have EXCEPT Mowers. There is no electricity available at the cemetery, so tools must be gas powered or battery powered. 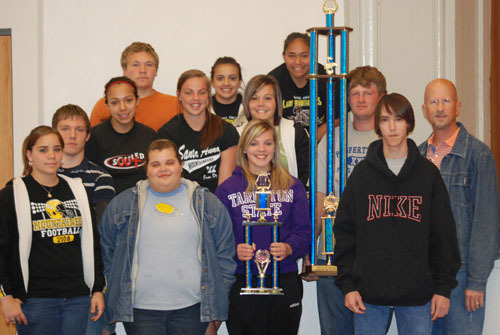 The Santa Anna band officers display the trophies which they won at the Cisco Band Festival on March 26th. They came home with the following honors: Sweepstakes Trophy (First division ratings in concert and sightreading), Best overall band trophy, and sixty-five solo and ensemble medals. 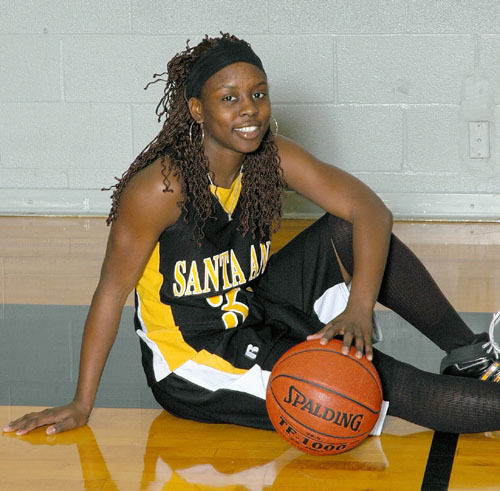 The following Santa Anna Varsity girls received Texas Six-man All Region basketball honors. 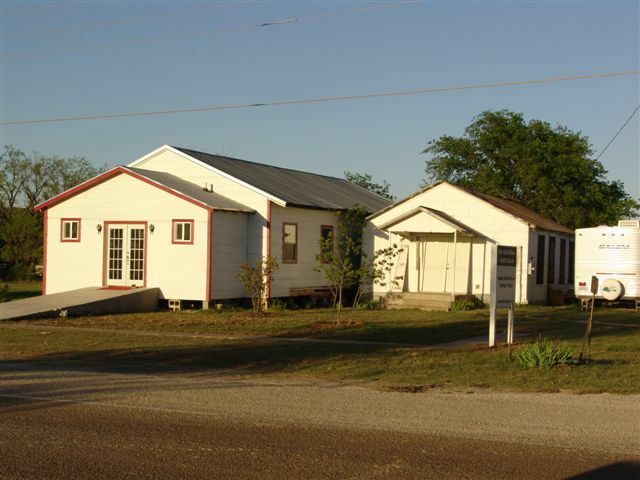 The Coleman County Historical Commission will meet in Novice on Thursday April 2nd for their April Program We will meet at the Novice Community Center. Gathering will begin at 6:30P and opening will be at 7:00P. Despite cold, blustery conditions, thirteen hardy souls began cleaning and polishing the Park and Community Center last Saturday. Inclement weather kept most of the volunteers inside the Armory, which was a good thing, as several pickup loads of rubbish were hauled to the dumpsters. One major accomplishment was the installation of a new electric cooktop in the kitchen area. Purchased by the Santa Anna Economic Development Corporation, the new appliance was installed by the capable crew of Curtis Fellers, Ron Reece, and Harold Fahrlander. Another important accomplishment was cleaning out the vault and storage area and the old Chamber Office area. Both these rooms had gathered fifteen years of things too vital to discard, but now worthless. Now that they are gone, workers can see what needs to be cleaned, which is a BUNCH! Outside, in the Gary James Park area, members of the group pruned and shaped the Crepe Myrtles along the south side of the Armory, as well as some hackberry trees and random brush. The resulting trailer load of limbs and branches was hauled away to compost, leaving a much neater appearance all around. Finally, workers picked up almost ten pounds of broken glass and twist-off bottle caps, which could have serious consequences for tiny, bare feet running through the park. Citizens should remember that Santa Anna City Ordinance prohibits glass containers anywhere on the Park and Armory premises. A fine is warranted for such possession. A subsequent workday is planned, and as soon as those plans are final, the day will be publicized. Thanks go out to all who came to help: Gayland Edmiston, Gay Abernathy, Teri Edmiston, Shanna DeLeon, Rob Cheaney, Tom Guthrie, Lane Guthrie, James Pelton, John Hensley, Montie Guthrie, Curtis Fellers, Ron Reece, and Harold Fahrlander. Thanks as well as to the EDC for the new cooktop. The next big project for the community is the clean-up this Saturday at the Cemetery. Be there or be square! Ballinger community leaders will host a regional network luncheon sponsored by Texas Midwest Community Network (TMCN) on April 7th at the Carnegie Library, 204 N. Eighth Street. 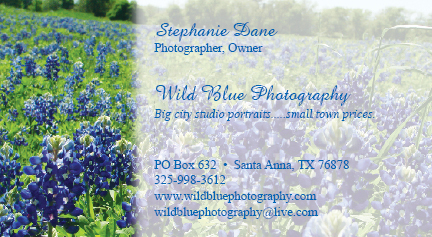 The local contact is Tammie Virden at the Chamber of Commerce office. Each year TMCN conducts a series of network luncheons in April to bring local leaders from visiting communities together to discuss issues that affect quality of life and local economies. This year’s series of luncheons will focus on "Moving Forward in Times of Uncertainty" with community representatives discussing ways to prepare for the future. 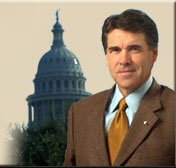 Other locations for luncheons this year are De Leon on April 15th, Albany on April 23rd.and Aspermont on April 28th. Interested participants are asked to make reservations in advance either online at www.texasmidwest.org or by calling the Ballinger Chamber of Commerce at 325-365-2333 or the TMCN Office at 325-795-8626 or 800-845-3563. Texas Midwest Community Network is a regional organization for economic development, tourism development, regional awareness & promotion, education, and legislative awareness. It is an organization of “communities working together to accomplish what one community cannot do alone.” TMCN sponsors a number of networking events during the year and projects to market the region for business and tourism development. Last year the organization launched a regional cooperative by which businesses have access to affordable employer group healthcare plans.